Cancellation/Refunds: Cancellation requests must be received (in writing to cle@hsba.org or mail) by Tuesday, April 23, 2019 for a full refund. There will be no refunds for No-Shows. This seminar will cover the most common employment law claims, including discrimination, whistleblower, tort, contract, and wage/hour claims. 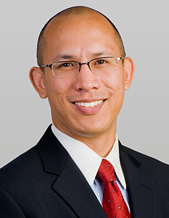 Darin R. Leong represents management in a wide range of labor and employment matters, including federal and state court litigation of wrongful termination, harassment, reasonable accommodation, breach of contract/non-compete agreements, and other employment claims; discrimination and harassment cases pending before administrative agencies; wage and hour compliance; and traditional labor matters such as collective bargaining, labor arbitrations and unfair labor practice charges. Mr. Leong also conducts workplace investigations on behalf of employers and provides counseling and training for employers and their supervisory employees to manage personnel issues and comply with various employment laws. Mr. Leong joined Marr Jones & Wang in 2007 and is a partner at the firm. Prior to joining Marr Jones, Mr. Leong practiced labor and employment law at Proskauer Rose LLP in New York City. Mr. Leong is a graduate of Pomona College and received his law degree from New York University. He is licensed to practice in the states of Hawaii and New York.